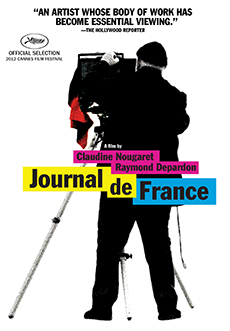 JOURNAL DE FRANCE is included in the same DVD box set with 12 DAYS and FRANCE (LES HABITANTS). 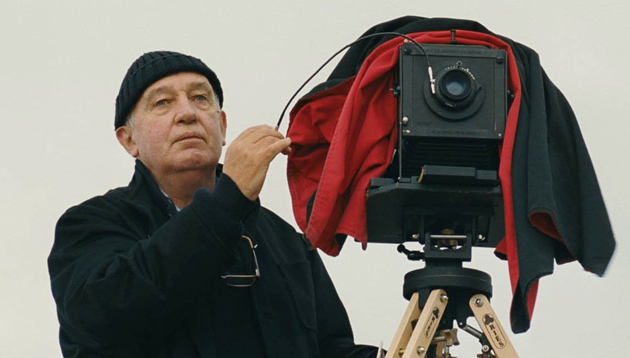 Travelling alone, internationally acclaimed photographer and filmmaker Raymond Depardon spent six years capturing his home country with a large format camera. This long, solitary road trip provided fertile ground for the creation, with his long-time partner and collaborator Claudine Nougaret, of a remarkable travel journal. The journey returned Depardon to important places from his past as a reporter—Chad, Venice, Cannes—and to a wealth of previously unseen footage from his archive: an interview with Jean-Bédel Bokassa, film of Jean-Luc Godard, extraordinary glimpses of private and public life. Intimate, compelling, revelatory, JOURNAL DE FRANCE offers a unique portrait of a country and its landscapes, an overview of a truly illustrious career and a fascinating resume of the development of the photographic art over the past half-century. In her essential final feature, Chantal Akerman documents her relationship with her mother, a Holocaust survivor. Chris Marker and Pierre Lhomme's legendary portrait of Paris and Parisians at the close of the Algerian war. Documentarist Raymond Depardon travels through provincial France in a camper, gathering conversations with people from all walks of life.